To the invading Spaniards, gold was without question the great prize in the Incas Empire. 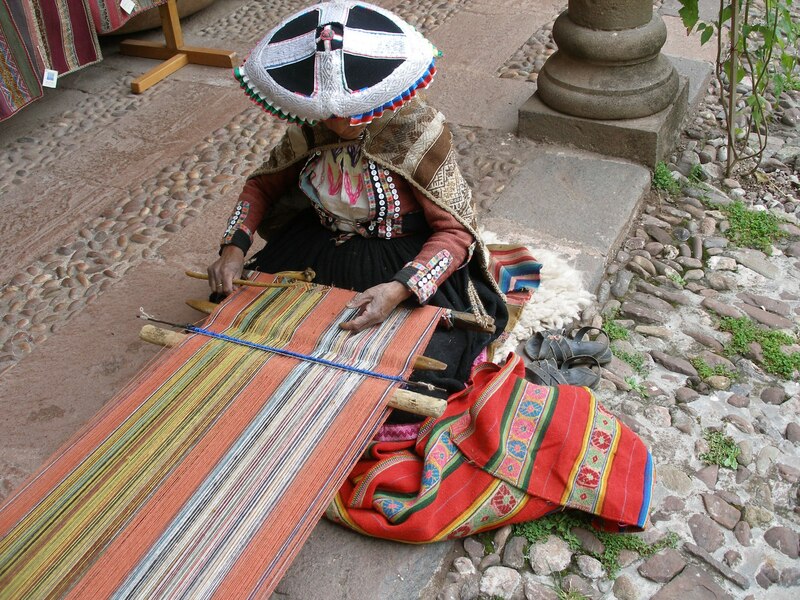 But among the Incas themselves, textiles ranked as the most treasured commodity, in large measure because of the amount of time and care expended in producing them. Many segments of the population participated in the creation of cloth, beginning with the farmers who grew cotton, and those who harvested the wool of alpacas, llamas, and vicunas. In all but the most elite households, the fibers were washed, combed, dyed, and spun into yarn, then woven into panels that were sewn together-but never cut- to form everything from grain sacks and clothing to exquisite tapestries. Some of this material was made into bags so that they could carry their most cherished items. They were made from an elegant fabric designed to distinguish them from each tribe. The Inca loved to use color in their work. They used the finest material without any chemicals to make textiles. It is truly demonstrated in their art.